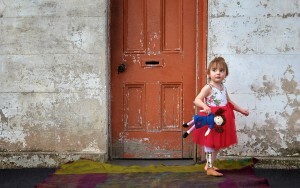 Child photography is a regular feature of professional photography awards but, until recently, images of children with limb differences had not been. 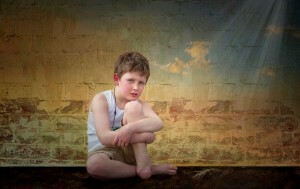 That was until Melbourne-based photographer Zaharoula Harris met five-year old Alex. Alex, who was born with bi-lateral limb differences which resulted in amputations of both feet when he was just a toddler, is well known in the Limbs 4 Kids community. Alex, along with his parents Allison and Marta and twin brother Mark, is child who is full of beans. Alex plays an array of sports, recently received his first set of running blades and already aspires to represent Australia as a Paralympian in the future. Like most parents Allison and Marta have sought to capture their twin boys as they grow, which led them to meet with Zaharoula for a family photo-shoot. Not only did the family receive stunning photos but a particular image of Alex stood out as one that not only captured his personality but was of such high quality that Zaharoula thought it worthy of entrance into the ‘Victorian Professional Photography Awards’. The photograph scored a ‘Silver with Distinction’ at these awards, with the judges commenting that they were all drawn to the courageous look in Alex’s face well before they even noticed his missing limbs. The success of Alex’s photo resulted in Zaharoula being invited to enter into the Australian Professional Photography Awards. It was at this point that Zaharoula thought she would like to photograph children with limb differences and use her lens to “share their beauty and stories with, not only families, but the wider community”. Zaharoula contacted Limbs 4 Life to enquire whether we could put a ‘call out’ for two other Melbourne-based families to have portraits taken of their child. Two families responded to the call and had wonderful photos taken of their beautiful children Milla and Angus. Milla, who was born with a congenital lower limb difference that resulted in an amputation when she was a toddler, is a gorgeous and captivating little girl who features in a number of Limbs 4 Kids materials and videos. Angus, who is nearly nine and had his foot amputated as a result of an infection, is a determined and tenacious boy who is amazing everyone with how quickly he is recovering from his very recent amputation. In reflecting on the photo-shoot, Zaharoula said “I felt quite nervous photographing the children as the most important thing to me was that the parents would look back and fall in love with the images”. The day of the photo-shoot was a great success “full of fun and laughter”, providing Zaharoula with an opportunity to learn more about Milla and Angus. It also allowed Zaharoula to present their families with an array of beautiful pictures of their children. Zaharoula and her colleague Lisa Saad (who, incidentally, took out the 2015 Australian Commerical Photographer of the Year Award) worked collaboratively to develop two breathtaking images of Milla and Angus that both sets of parents “were thrilled with”. Along with the photo of Alex, all three images were entered into the National Awards held in October. The competition, which is an extremely competitive Australian-wide award, saw Zaharoula receive‘Silver with Distinction’ for her photo of Alex. The photos of Milla and Angus did not receive awards but Zaharoula feels that “those photos are ‘gold rated’ in my eyes and, no doubt, in that of their parents also”. Indeed, Zaharoula would like to continue taking photos of all three children as they get older. While Zaharoula has been photographing for over 30 years, prior to taking it up professionally six years ago, she worked in the area of disability with the Victorian Department of Human Services. In reflecting on both her previous and current professions, Zaharoula said that “over the years I had the pleasure of meeting many people with a variety of disabilities, and what is important is that you see the person first and foremost. That is the same with photography, you try to use the lens to capture the essence of the person first and foremost”. Indeed, it was that approach Zaharoula felt enabled her to take beautiful pieces of art featuring Alex, Milla and Angus. Zaharoula is keen to work on a book with the Limbs 4 Kids program that will assist in raising awareness of children with limb differences and, as she says, “assist a small organisation like Limbs 4 Life to continue to offer support to parents when they need support the most”. Limbs 4 Life congratulates Zaharoula on her recent photography successes, and thanks her for taking the time to support the Limbs 4 Kids community and her ongoing commitment to improving outcomes for children with limb differences.